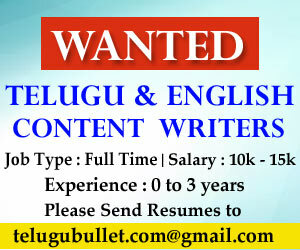 Here is the return gift for all Pawan fans on the occasion of Pawan Kalyan birthday. The upcoming film of Pawan Kalyan and Trivikram combination poster is out. 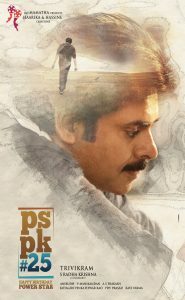 Pawan fans are eagerly waiting for this and finally is happy with the poster. 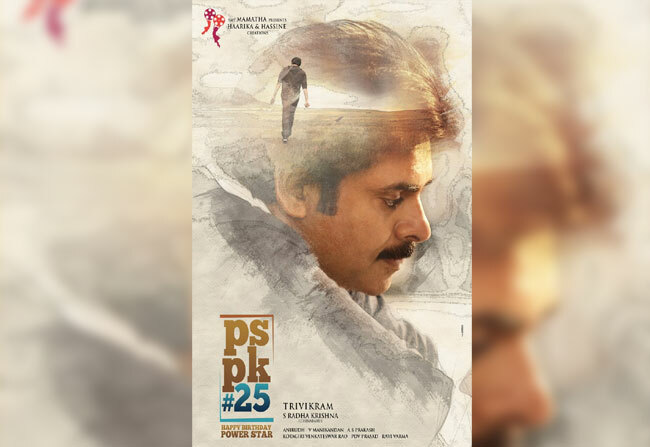 Furthermore, PSPK 25 movie first look poster release and is going viral in social media. We see Pawan from a side angle and also another picture of him walking in the same poster. Keerthi Suresh and Anu Emanual are playing the female leads of the film. Harika and Hasini creations are producing the film. Anirudh is providing the flick tunes for the movie. 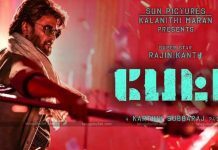 With this poster, expectations have grown high on the film. Though there are many titles in the discussion like Engineer Babu, Gokula Krishna, Devudu Digivachinavela, Raju Vachinadu, they didn’t yet finalize the title for the film.